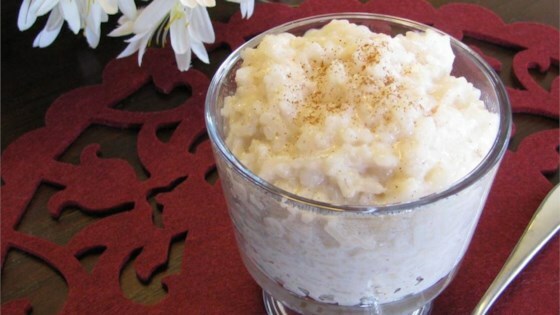 "Easy way to make a simple rice pudding. Chill and serve with extra cinnamon if desired." Place 5 1/2 cups skim milk, rice, sugar, and cinnamon in a rice cooker; stir to combine. Cover and cook for one cycle in rice cooker until rice is tender and creamy, 20 minutes. Stir in the remaining 2 1/2 cup milk. Allow to cool before serving.